Mr. Hammond was retired from Reynolds Metals after 45 years of service. He was a musician and a farmer for all of his life and was a member of the Plainview Church of Christ. He was preceded in death by his parents, Jasper and Irene Hammond; sister, Ruby Doris Arnold and brother, Kenneth Hammond. 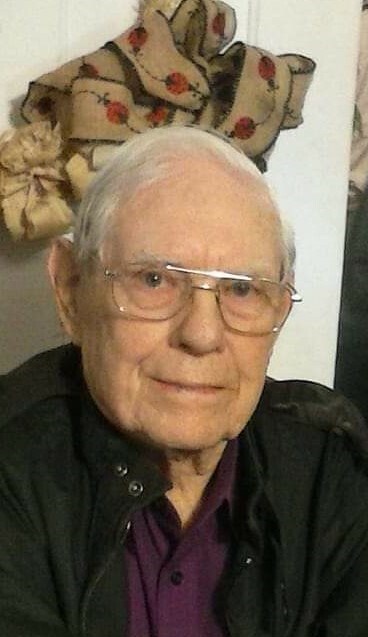 He is survived by his wife, Jimmie Lawrence Hammond; children, Regina Butler (Michael), Marsha Slyman (David), Michelle Hammond (fiancé, Lyndon Springer), Rachael Cox (Trey), and Lissa Hammond; step-sons, Sam Ramey and David Ramey (Tammy); sister, Betty Scott (Raybon); 10 grandchildren and two great-grandchildren. Pallbearers will be David & Tripp Slyman, Zach Thomas, Brad Hammond, Trey Cox and Lyndon Springer. I want to offer my sympathy to the family of Mr Edgar Hammond and to share with them some comfort from God’s Word, the Bible. One of my favorite scriptures assures us that death will be done away with and sickness and sorrow. What a wonderful time it will be to live without the fear of sickness and death. This comforting promise is found in Revelation 21:3,4. I sincerely you can find comfort in reading this scripture. Miss you so very much, you have lived a long life and God saw fit to bring you home to live with him forever. We will carry on and share memories of you forever. Rest In Peace sweet GiGi! I am so sorry to hear about Mr. Edgar. I will be praying for Jimmie and the family. They have been so good to my family. Jimmie, please know you are in my thoughts and prayers. I pray Jesus will wrap His loving arms around you and comfort you during this difficult time. My condolences to the family.